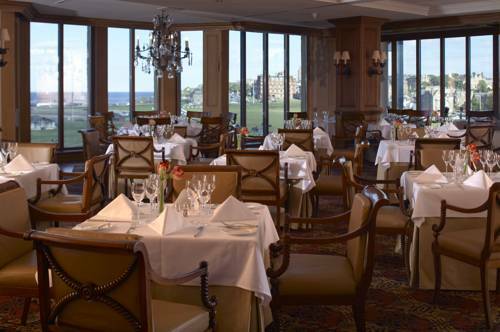 Overlooking West Sands Beach and the Links Golf Course, Old Course Hotel features a luxury spa and award-winning restaurant. 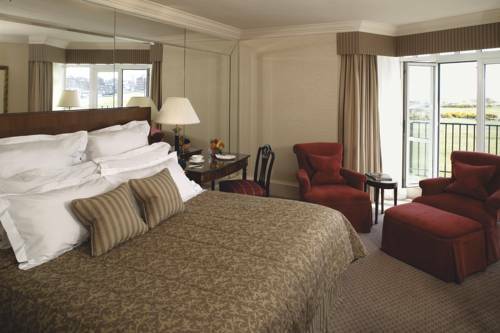 Set in a magnificent building, the hotel has scenic views and elegant rooms. The Old Course Hotel St Andrews has the Kohler Waters Spa, which offers luxury spa treatments, a relaxation area and a rooftop hot tub. There is also a 20-metre swimming pool and fitness centre. 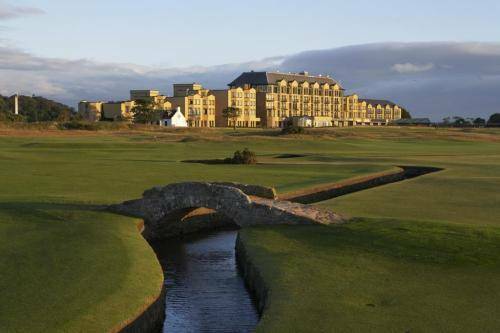 The refurbished bedrooms at Old Course have sumptuous d�cor and modern bathrooms with designer toiletries. With original character, rooms also feature flat-screen TVs and fluffy bathrobes. Free Wi-Fi is included. With 3 AA-Rosettes, Road Hole Restaurant offers fine dining and over 200 whiskies. Sands Grill serves fresh seafood in informal surroundings, and there is also a traditional pub and bar. 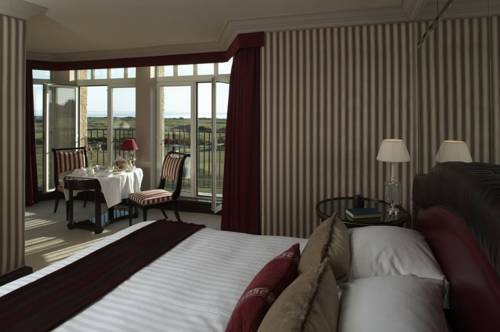 Situated in scenic St Andrews, Old Course Hotel is just metres from the rugged Scottish coastline and North Sea. Nearby Dundee can be reached in 20 minutes’ drive. St Andrews Links is the Home of Golf, where the game evolved and where the spirit and traditions of golf have been safeguarded for over six centuries. A place of global importance, the Links is managed by St Andrews Links Trust. You can use our site to plan your golf trip, book tee-times, browse the online shop and discover more about the Home of Golf. The six courses at the Links are open to all, as are the golf practice centre and the two clubhouses.